Do you obsessively watch reruns of That '70s Show? Maybe you always make an effort to go see Grateful Dead cover bands in your spare time... or perhaps you notice that more often than not, your clothes give off a lingering scent of patchouli. Whether or not you believe that you were simply born in the wrong decade – or simply wish you could return to that era – we can all agree that the 1970s were a pretty rad time to be alive. 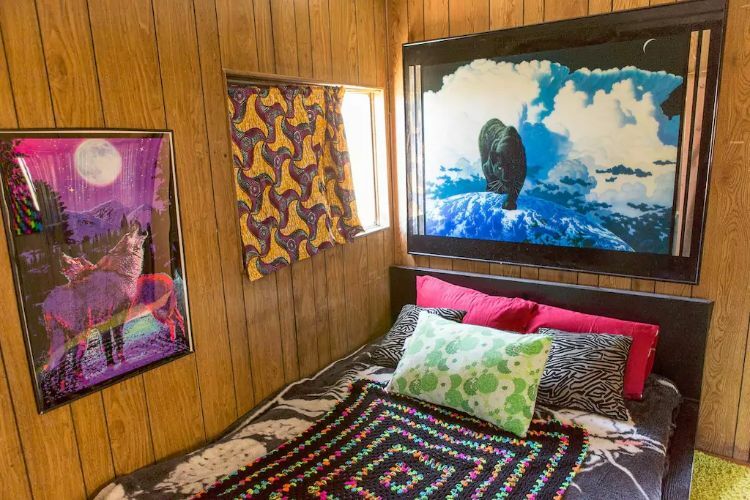 Luckily, for those of us who never got to experience the psychedelic seventies, we have a little place in Pioneertown, California, that we can go to do so. 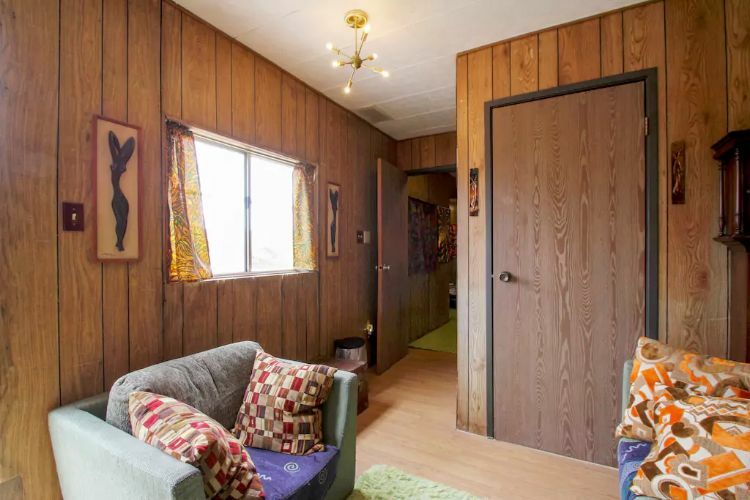 At Janky Acres Compound, anyone can pay a visit to the "That '70s Trailer" by booking a stay on Airbnb. Described as an "adult playground," it is hard to find a place as fun and unique as this. Not to mention, the entire compound is nestled in a beautiful and quiet canyon with breathtaking desert views. 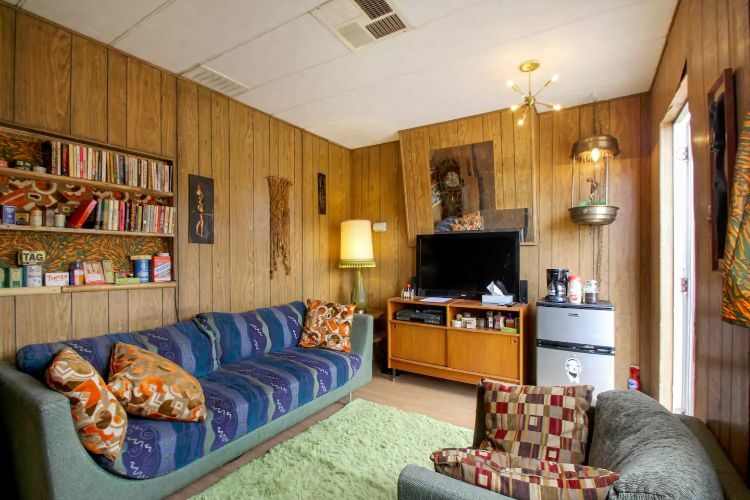 If all-encompassing wood paneling doesn't make you think "the '70s" I don't know what will. 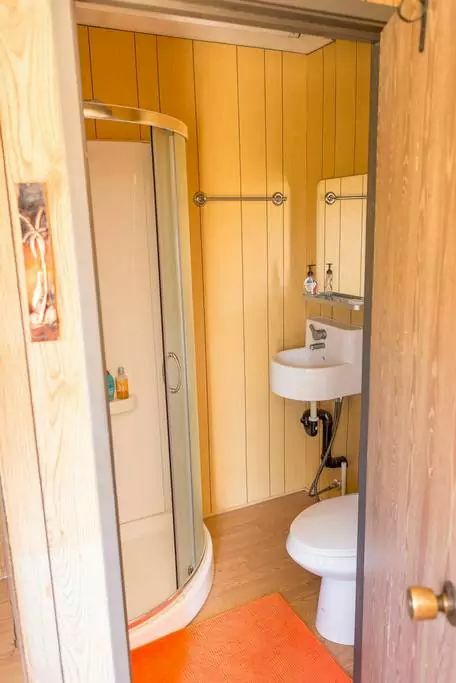 Many RV renovators will claim that wood paneling is their worst nightmare and its removal is often the first thing to go. Here, it is welcomed and even adored. 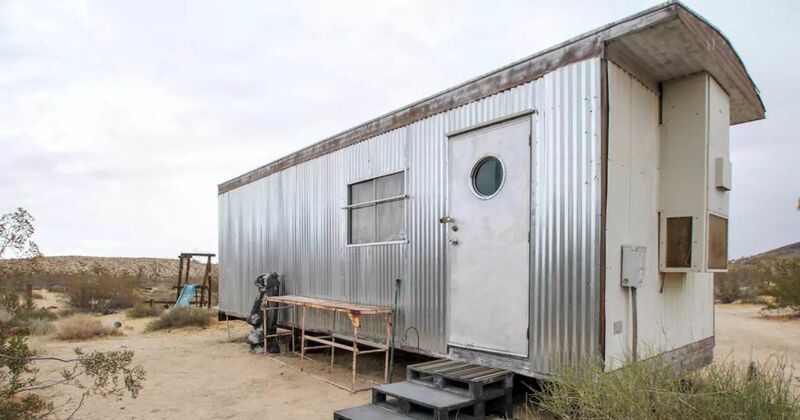 This trailer has basically been converted into a one-bedroom apartment. When you walk in the front door, you will find yourself in the living room in awe of all the quirky patterns and retro memorabilia. However, you will have the luxury of having a TV fit for this day and age. 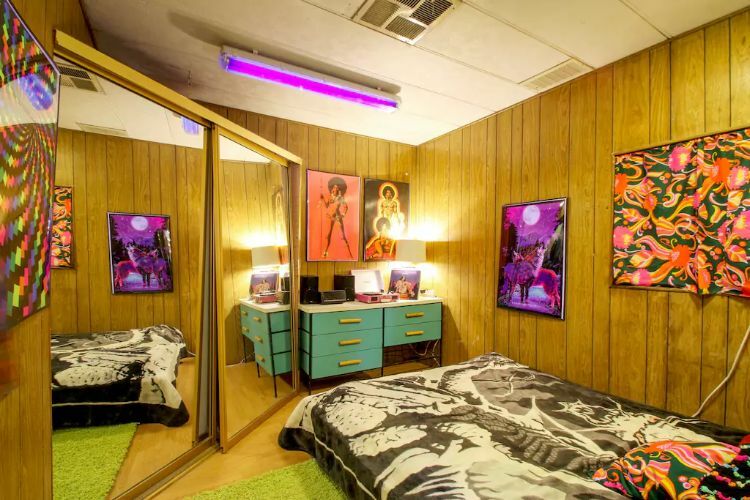 Bright yellows and oranges were all the rage when it came to 1970s interior design. Step into this full-sized bathroom and experience them both. We love the rounded shower design. The bedroom is spacious. Put on your favorite Pink Floyd record and enjoy ultimate chilling out. Don't forget to turn on the black lights because they really accent the colorful posters. Can you dig it? Don't forget to share this rad trailer with your friends on Facebook and Pinterest!